Pusat Sumber SMK Bandar Utama Damansara (3): Dirgahayu Tuanku! Merafak sembah dan setinggi-tinggi ucapan tahniah kepada Seri Paduka Baginda Yang Di-Pertuan Agong XIV, Almu'tasimu Billahi Muhibbudin Tuanku Alhaj Abdul Halim Mu'adzam Shah Ibni Almarhum Sultan Badlishah dan Seri Paduka Baginda Raja Permaisuri Agong Tuanku Hajah Hamidah. 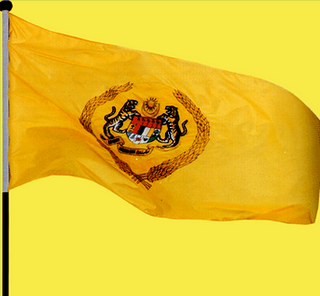 Malaysia is the one of the countries that have an elective monarchy. 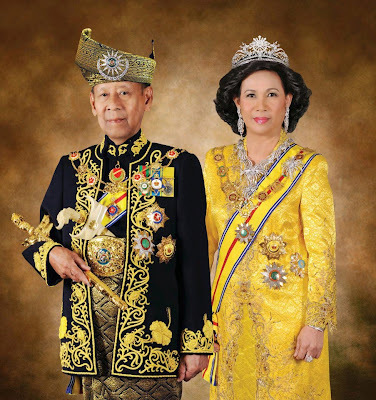 The Yang Di-Pertuan Agong is selected amongst the nine hereditary monarchs of the Malay states in Malaysia via the Conference of Rulers in a secret ballot every five years. Daulat tuanku! 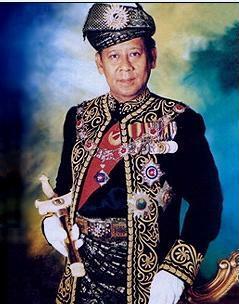 Today is the installation of His Majesty the fourteenth Yang Di-Pertuan Agong, and what a historic day it was. Riddled with coincidences and great solemnity, it was a joyous occasion for all Malaysians. 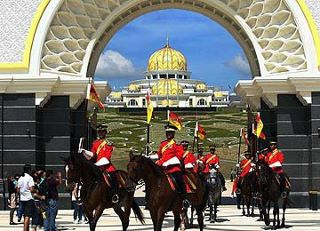 This was the first installation done at the new Istana Negara, thus replacing the old Istana Negara as the seat of the Yang Di-Pertuan Agong. Does he look familiar? 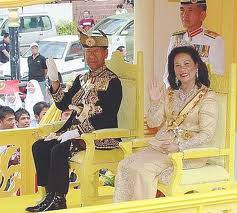 For the first time in the history of Malaysia, a Sultan has become the Yang Di-Pertuan Agong twice. Our newly-installed Yang Di-Pertuan Agong has served as the fifth Yang Di-Pertuan Agong from 21 September 1970 to 20 September 1975. His Majesty is 85 this year, so it must have been quite nostalgic for him to take the throne a second time. And also, under His Majesty, two prime ministers have served under him. 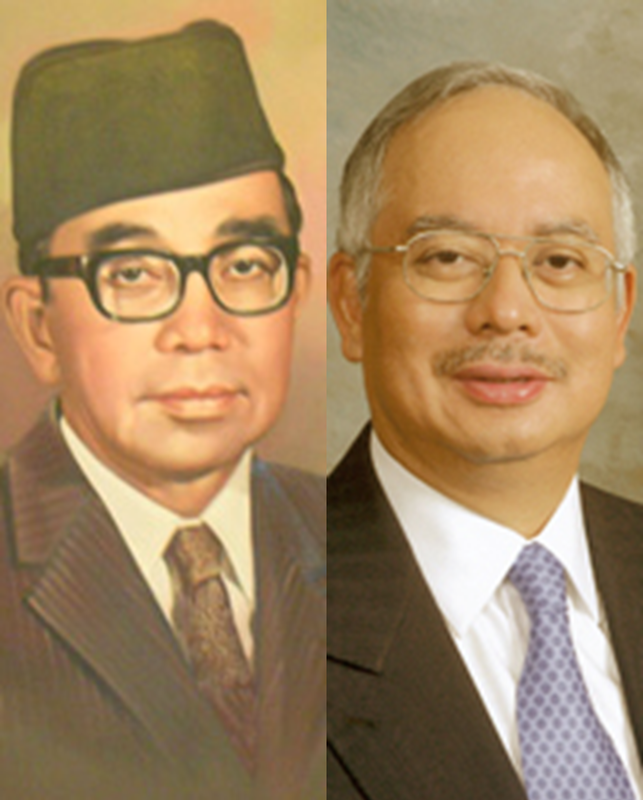 As the fifth Yang Di-Pertuan Agong, Tun Abdul Razak was his prime minister, and now, Dato' Seri Najib is the incumbent prime minister, and what a coincidence that the two are father and son! Plus, both serve under the same Yang Di-Pertuan Agong! That is all for now for us at the Library. To learn more about the Yang Di-Pertuan Agong, can go here, or you could come to the Library and browse for yourself. Goodbye! Love and Appreciate the School Resource Centre!